Join Bobbi on Halloween for ROCKTOBER – October 31st, from 4-5:30pm at One Down Dog Silverlake location. A playful yoga flow that will open you up for exploring a few arm balances and of course, spending some time dancing it out to the best rock jams from classic, to punk, to grunge and some current faves. This class will be fun and challenging yet accessible for all levels. There will be spooky sweet treats! $10 donation – A portion of the class fee will be donated to UNICEF’s Save The Children Foundation for those displaced in Syria. Any additional donations collected will go directly to UNICEF. 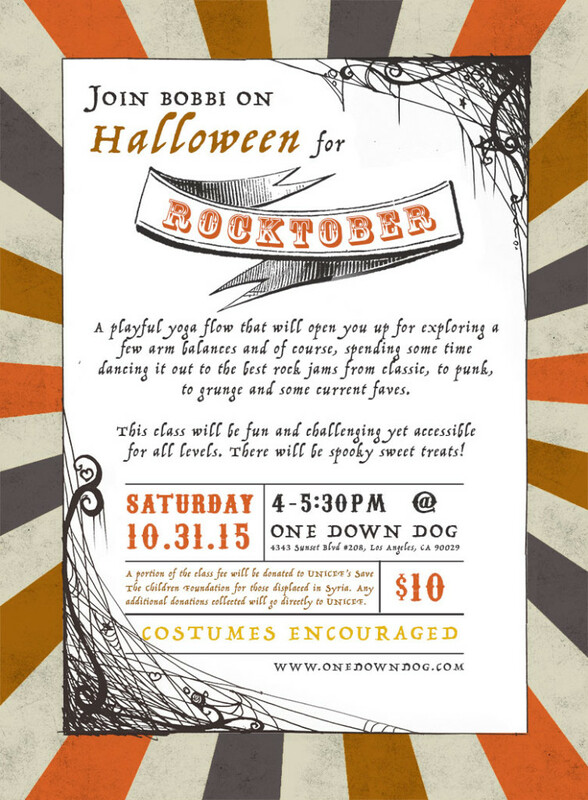 “Hallieween” Themed Class at ODD Eagle Rock! Don’t Be A Scaredy Cat! 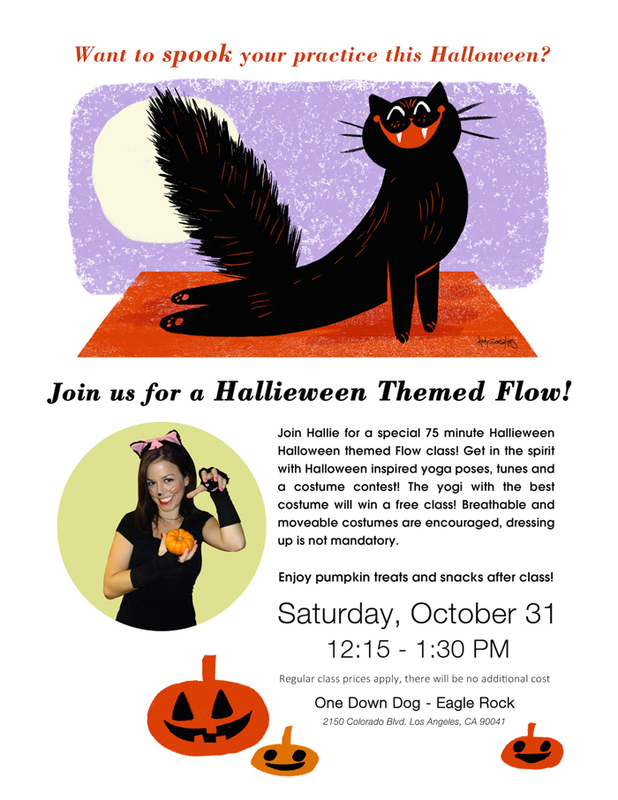 Join Our Halloween Themed Flow Class in Eagle Rock! Pump(kin) up your practice! Join me for a special 75 minute Hallieween Halloween themed Flow class! Get in the spirit with Halloween inspired yoga poses (cat pose, corpse, there are so many!) tunes and a costume contest! The yogi with the best costume will win a free class! Breathable and moveable costumes are encouraged, dressing up is not mandatory. Plus, we will have treats after class so stick around! We may have outgrown trick-or-treating, but we can still have fun and celebrate Halloween! All levels are welcome, including ghosts, zombies and witches.